A frequent theme of the legions of Tesla skeptics is the idea that, when the traditional automakers finally get serious about electric vehicles, Tesla will be toast. But while the auto giants, with their access to amazing amounts of capital and their enormous economies of scale, certainly have the ability to bury tiny Tesla, the reason that this scenario isn’t going to take place is that they don’t have the motivation to compete with the California carmaker. Electric vehicle blogger Patrick C, writing in Cars With Cords, sums up the situation very well with the phrase “Culture Eats Strategy.” Most of the major automakers have well-thought-out strategies for electrification, but successfully implementing these plans will be an uphill battle because their corporate cultures are not conducive to pushing a new product at the expense of an old one. Silicon Valley tech firms are much better at this sort of thing. Like “Tomorrow” in the musical Annie, the majors’ new electric vehicles are always a day away, or rather three to four years away. Patrick C cites the example of Toyota, which has announced big plans for such cars multiple times, but can’t seem to produce anything beyond low-volume plug-in hybrids and fuel cell vehicles. When a company is failing, it’s obvious that change is needed. But when an industry is growing and reaping record profits, as the automakers have been doing for the past several years, the logical business move is to continue doing exactly what you’re doing, and dismiss the stirrings among the startups. The world is changing - emission standards around the world are tightening, and the next generation of drivers may not have the same relationship to their cars as their parents did. The legacy automakers are producing excellent electric vehicles, but selling them in volume would require explaining to buyers why they are superior to their existing conventional vehicles, something the companies will not do. Some 400,000 people are waiting in line to buy Tesla’s Model 3. GM sold about 23,000 Bolts in 2017. Meanwhile over at Ford, former CEO Mark Fields said, “We have driven the Model S, torn it down, put it back together, and driven it again. We’re very familiar with that product.” But what did Ford learn from that teardown? Has it introduced over-the-air updates? Large touch-screens? Long-range electric cars? A coast-to-coast charging network? Nope, nope, nope and nope. BMW, Mercedes, and Volkswagen have also reverse-engineered Tesla’s vehicles. Many of Tesla’s patents are open-source. These companies know the technology, and they have the resources to produce an answer to the Model 3, and to market it to sell in volume. But their culture is not about taking risks. By then it could be too late. For, while the majors play a delaying game, timidly testing the market with low-volume compliance cars as their lobbyists work hard to eliminate pro-EV regulations, Tesla is steadily positioning itself for the future. The legacy automakers are giving Tesla time to build out its production capacity and its charging network, time to develop new vehicles, and time to build customer brand loyalty. By the time the dinosaurs of Detroit “get serious” about electric vehicles, they are likely to find that the startup from Silicon Valley has established itself as the undisputed leader in the electric vehicle space. Article originally published on evannex.com by Charles Morris. EVANNEX offers aftermarket accessories, parts, and gear for Tesla owners. 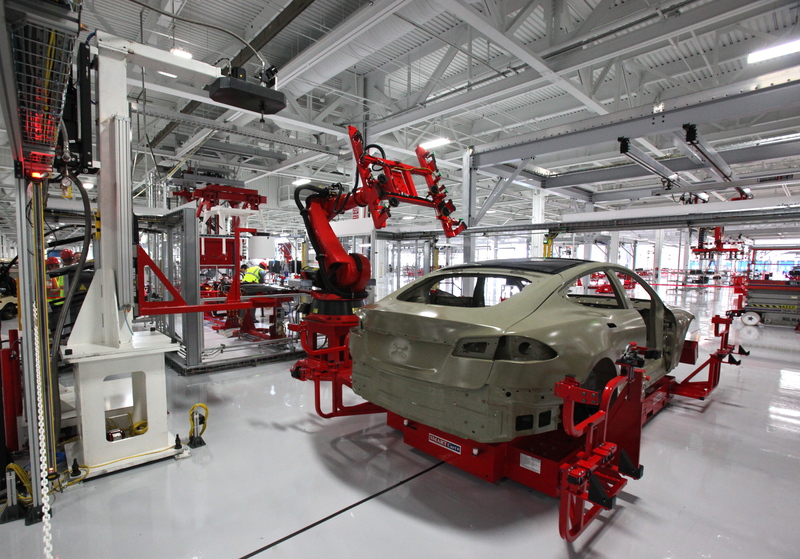 The Florida-based company also maintains a daily blog on the latest Tesla news. Source: Cars With Cords.